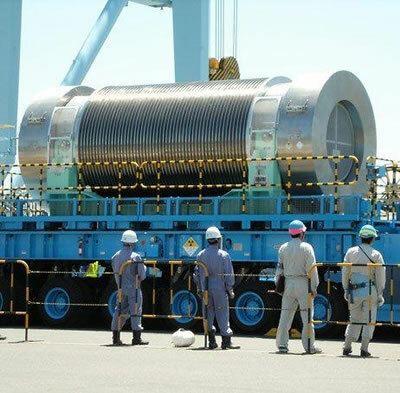 for its delicate handling of the monstrous technological nightmare of the 21-billion-dollar Rokkasho Spent Nuclear Fuel Reprocessing Plant built in a fishing/farming community in northern Japan. One woman, director Hitomi Kamanaka, has schooled herself on the nature of the threat and tirelessly conveys her concerns to her neighbors. She also grows tulips and organic vegetables, cheerful symbols of an unpoisoned life. At the end, the reprocessing plant prevails. In the film's heart-breaking final moment Hitomi tells us that she has decided to remain in Rokkasho. By now we know that this rarest of humans, the laughing activist, has resigned herself to life in a land of never-ending radioactive fallout. Hiromi Kamanaka's journey has been valiant, and along the way she leavens the horror with certain timeless truths: "Reprocessing and Farming Cannot Coexist. In This There Can Be No Neutrality: You are Either For it or Against it." Against Insuperable Odds, Do Not Give Up.